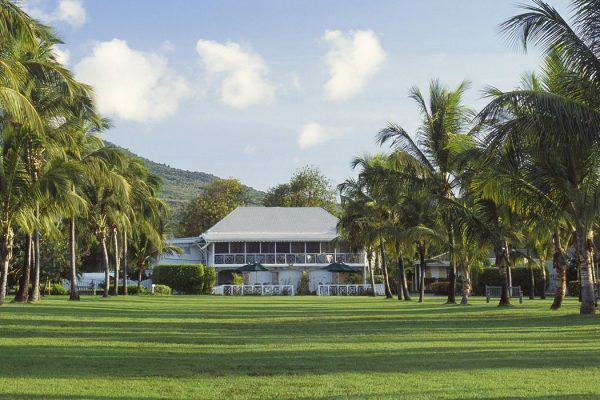 This luxurious hotel, owned and run by Sir Royston Hopkin and his family, offers superb, spacious accommodation, a welcoming atmosphere, top-class cuisine, spa facilities and excellent service. 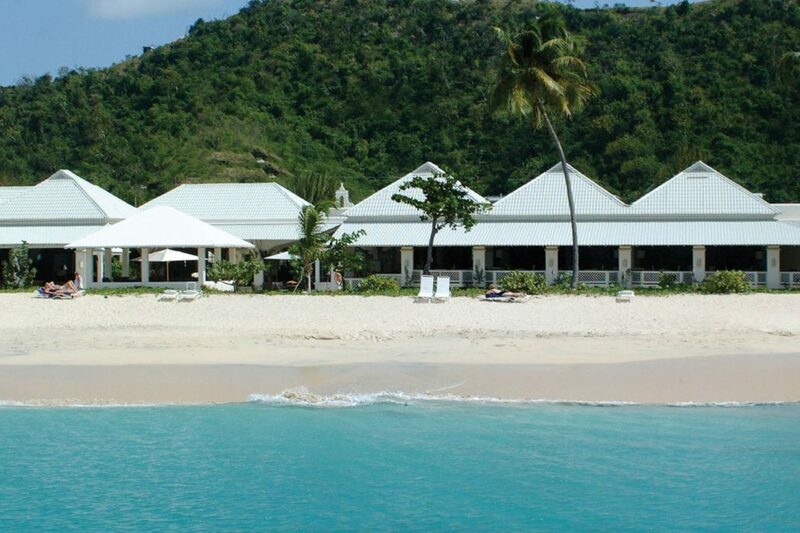 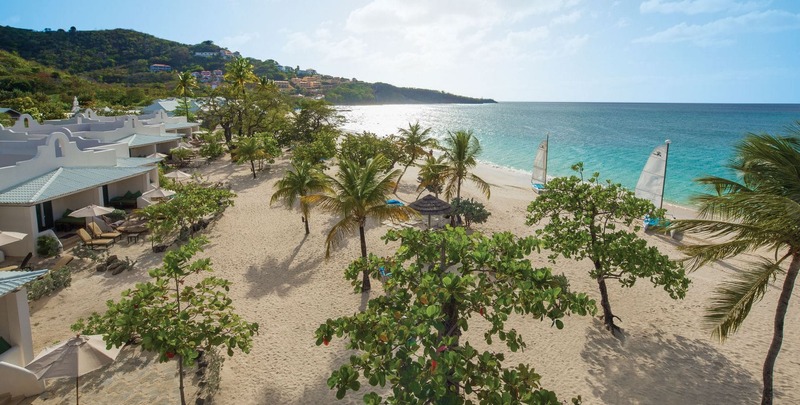 Try paddle boarding or stick to traditional kayaking along the shores of Grand Anse Beach. 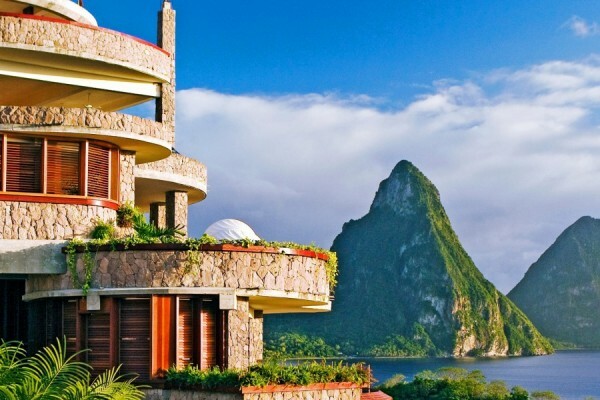 Arrange a trip to the rainforest or visit the local Saturday market. 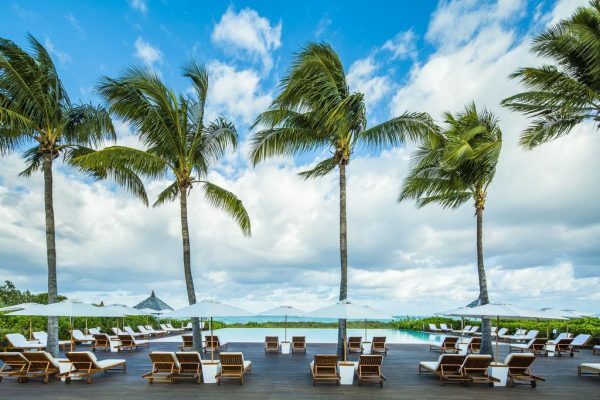 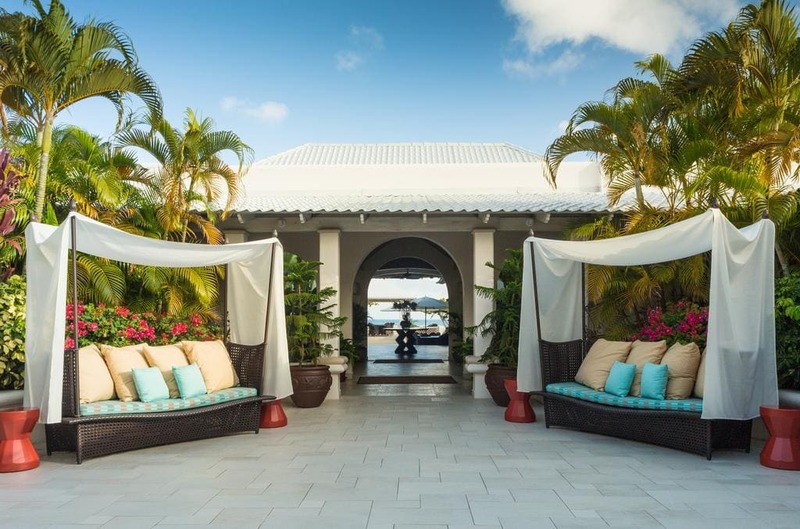 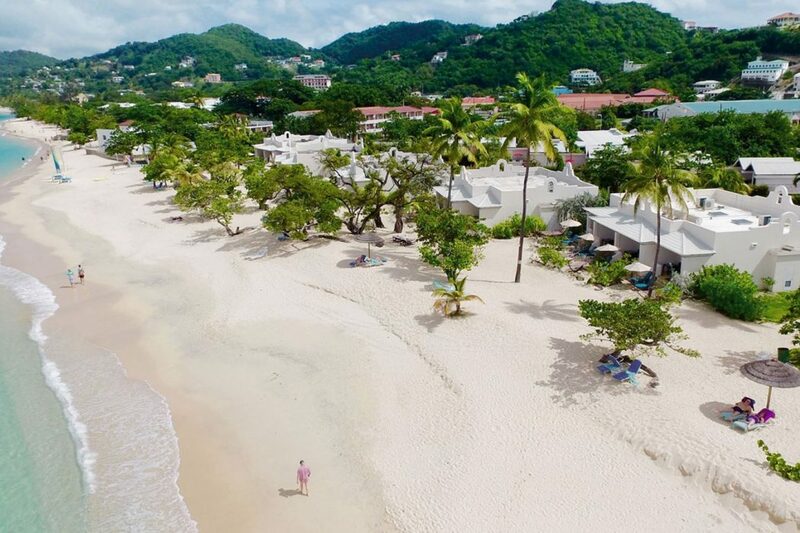 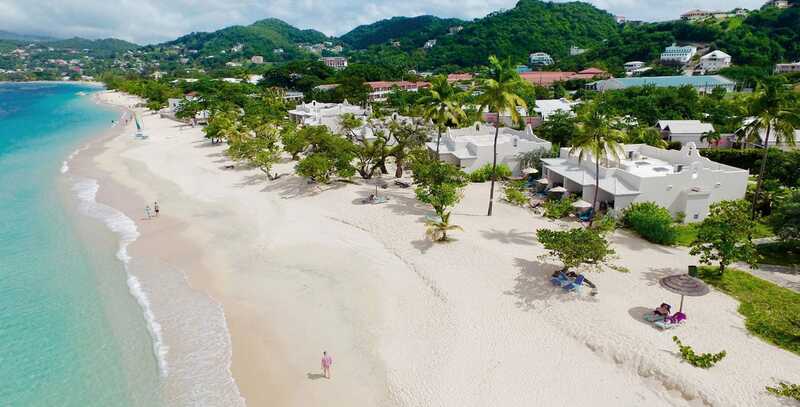 Facilities at the Spice Island Beach Resort include two restaurants, one bar, swimming pool, Jacuzzi, boutique, floodlit tennis court, fitness centre, open-air yoga pavilion, bicycles, Janissa’s Spa, children’s club and Aquanauts scuba dive centre. 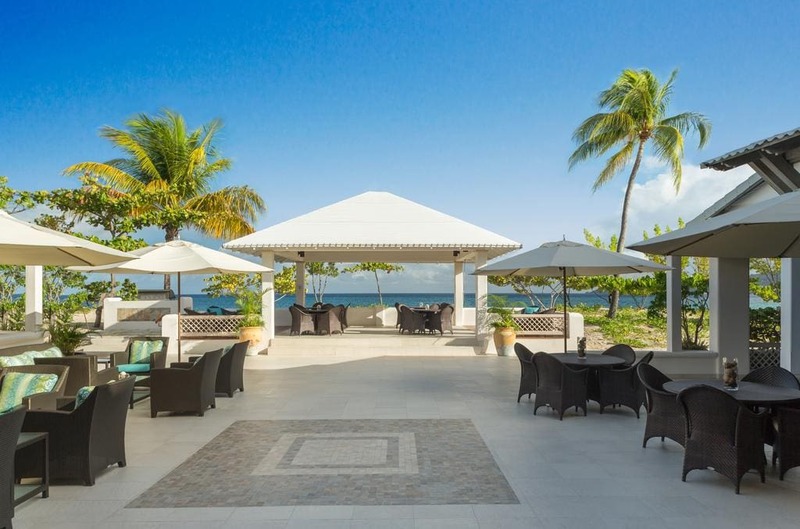 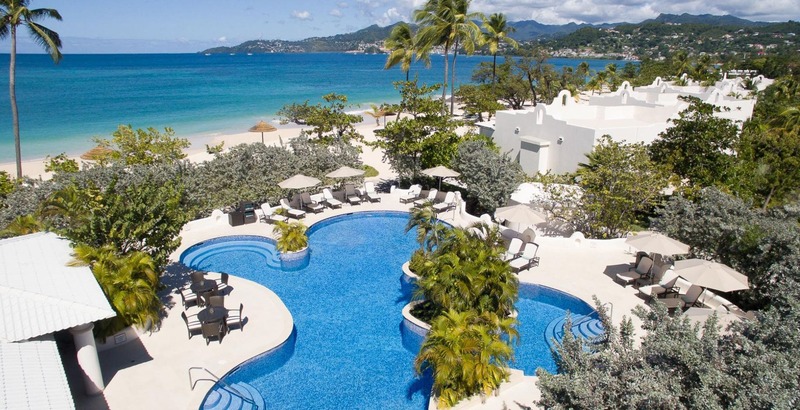 Complimentary activities include swimming, non-motorised water sports (Hobie Cats, ocean kayaks and snorkelling equipment), automatic membership at Grenada’s Golf Club with complimentary green fees, use of tennis courts, complimentary adult bicycles, fitness centre and use of the Children’s Activity Centre The Nutmeg Pod. 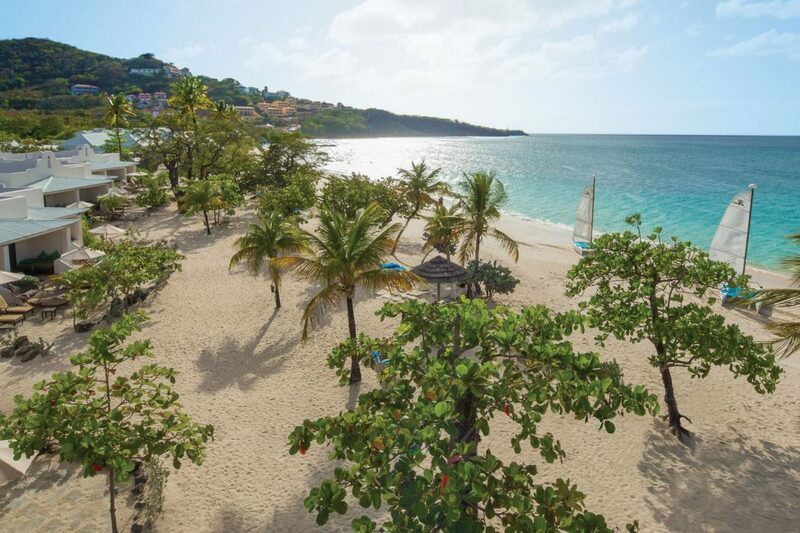 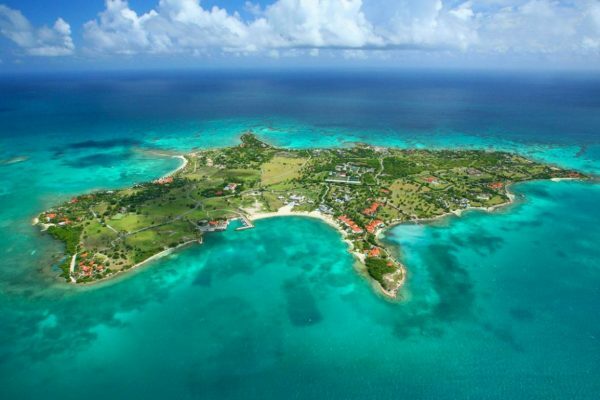 Grenada Golf Club is located nearby. 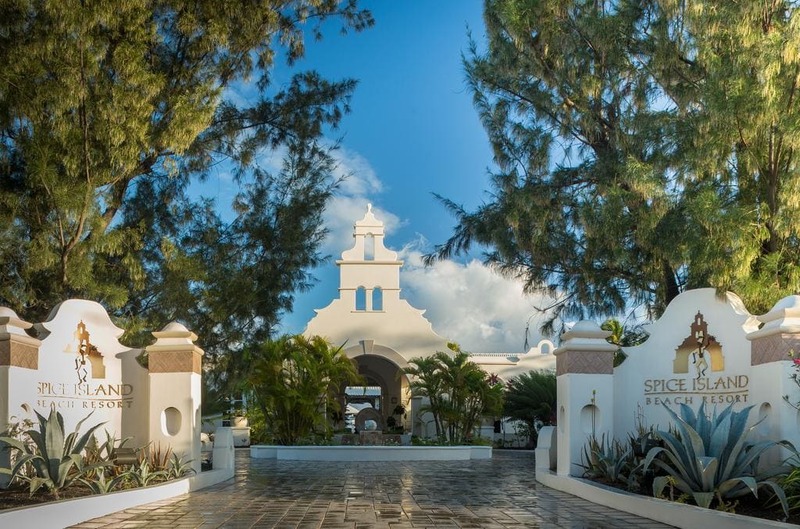 Green fees are included in the resort’s all-inclusive plan. 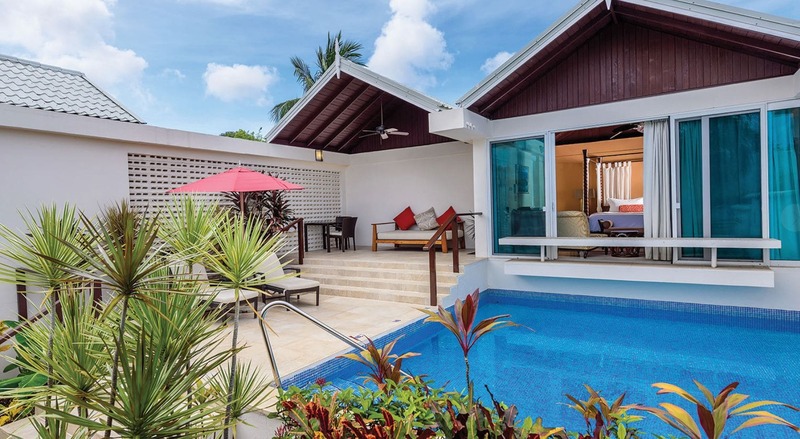 The 64 rooms are all suites. 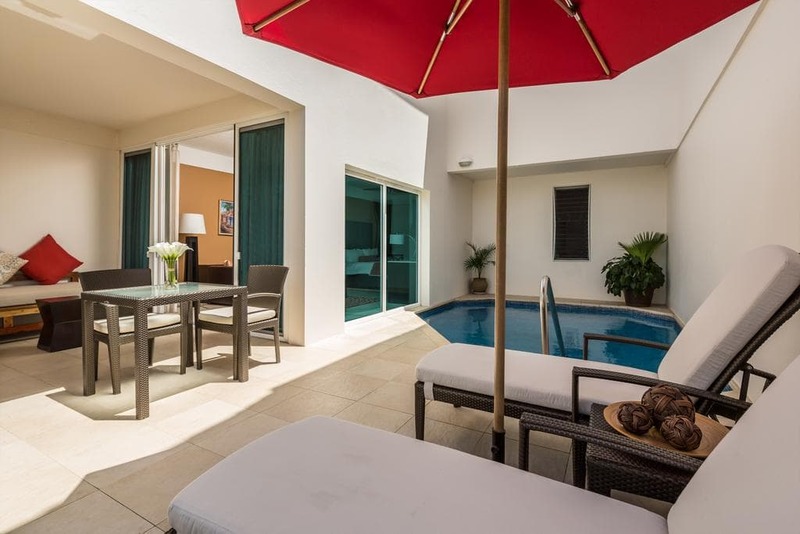 All rooms come with a whirlpool bath, and some of the suites even have private swimming pools! 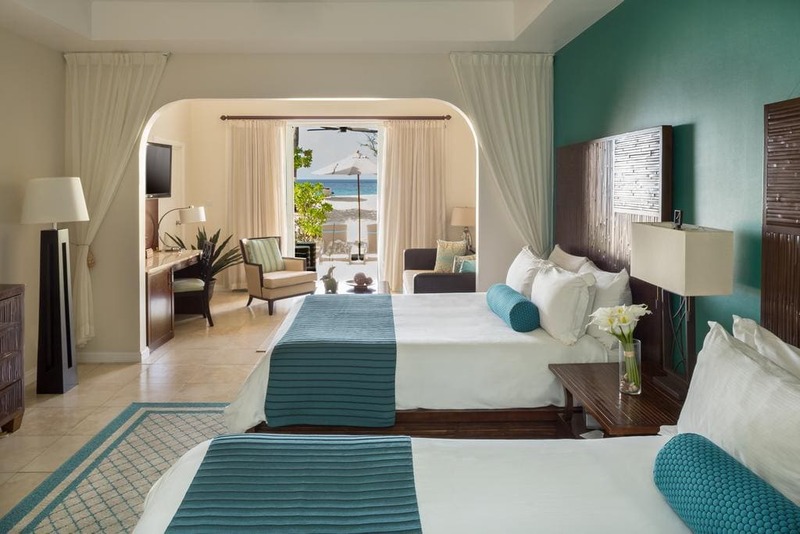 The 34 beachfront suites are nestled on the beach all with terraces and private rock gardens. 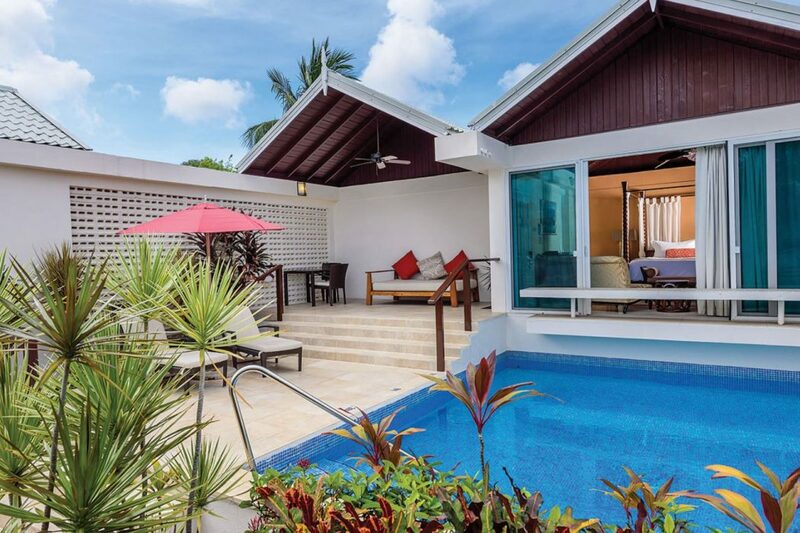 The pool suites benefit from their own private swimming pool just steps from the sea. 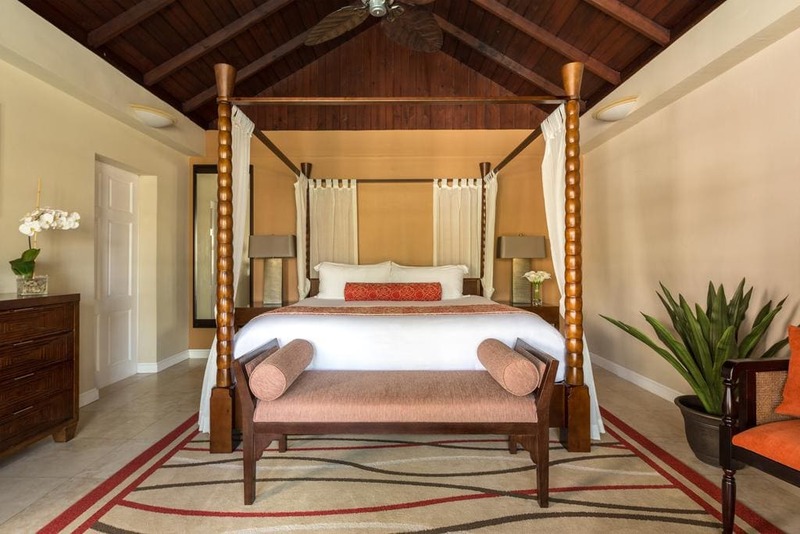 All rooms also feature air conditioning, TV with DVD player, phone, minibar, tea and coffee making facilities, safe, iron and ironing board, Frette linen, bathrobes, slippers and Molton Brown amenities. 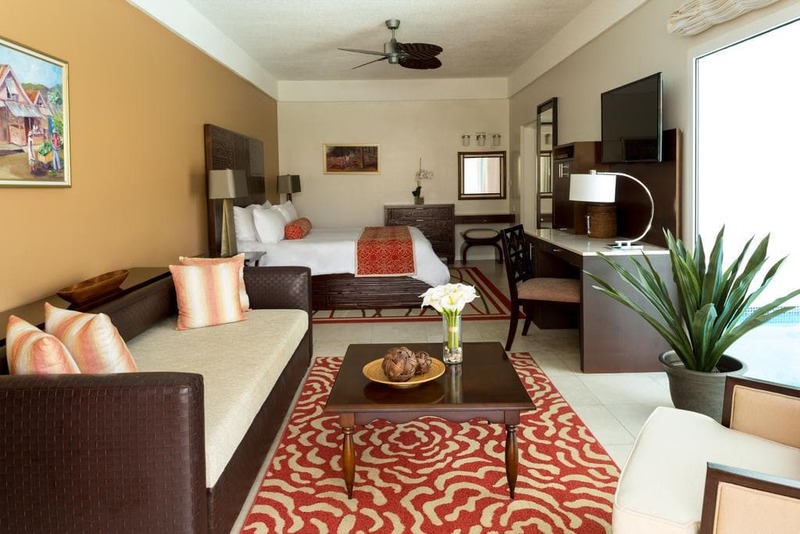 Complimentary high-speed Internet access is available in all rooms. 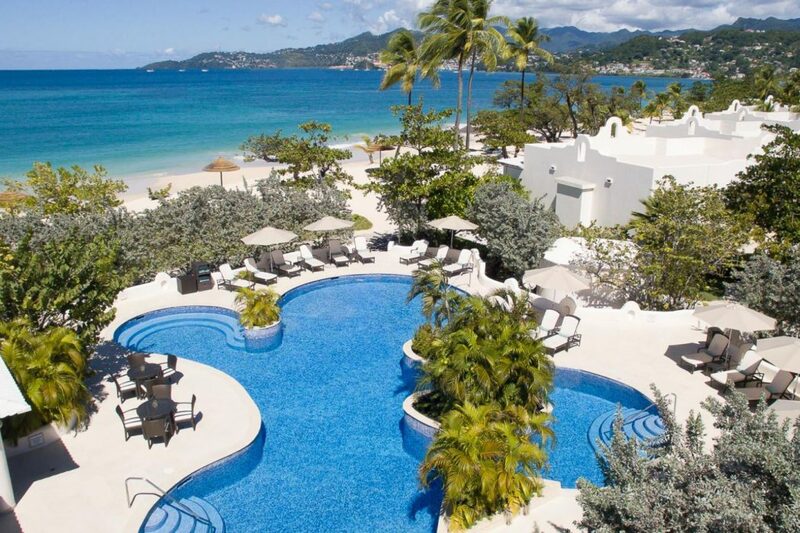 This hotel is All-Inclusive. 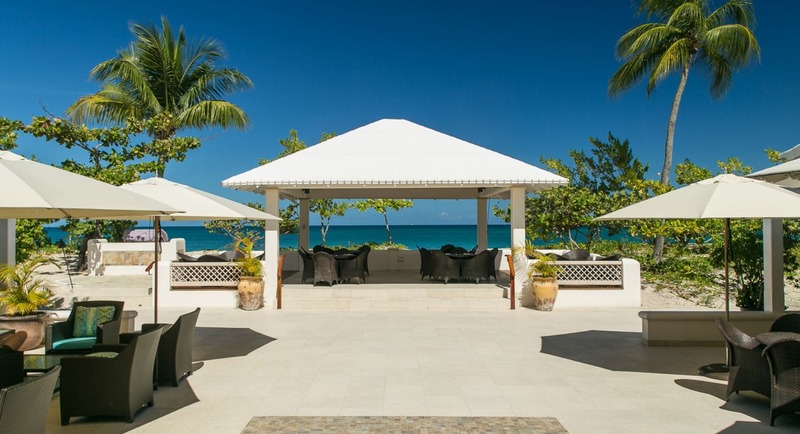 The wonderful, open-air Oliver’s Restaurant serves à la carte breakfast and dinner daily; the menu changes every night and features excellent international cuisine as well as authentic local specialities. 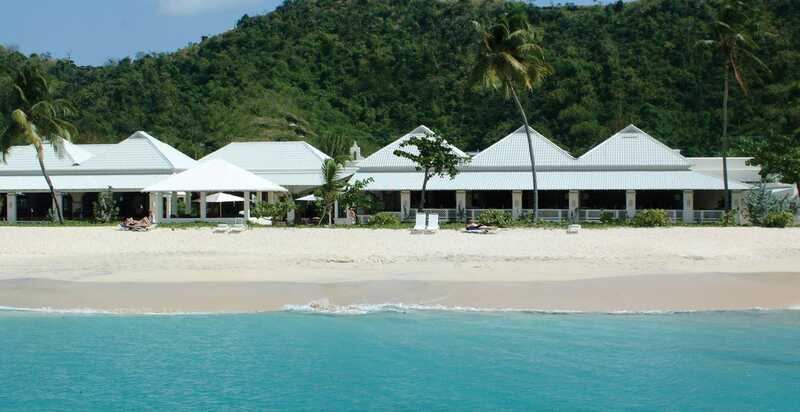 There is also the Sea & Surf Terraces for lunch, drinks and snacks. 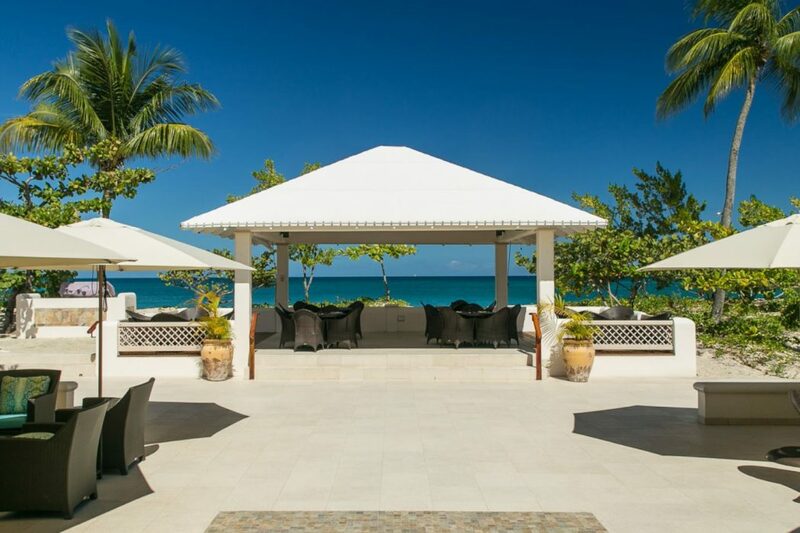 Traditional afternoon tea is offered each afternoon and can be taken on the terrace or in the comfort of your suite.